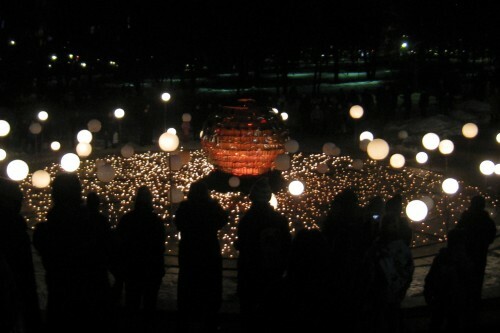 A light installation I went to see during the Lux Helsinki event. At the start of the year I was thinking about starting a new one-photo-a-day 365-project, but that failed right after I forgot to take a shot of the second day. So much for that, then. I still want to have some “theme” for the year and since in my previous post I wrote about just being a bit more active, I’m going to try to keep myself in check by posting in this blog what I’ve been up to. I’m thinking of a “once per 10 days or more often” posting interval. So in a way one of this year’s themes will be blogging. Fancy that. Subjects will vary greatly. So will the length of the posts. And amount of typos. Let’s not even talk about actual quality. As long as I write, everything is going to plan. Truth is, in the past years I’ve written plenty of blog posts, but most of them never got hit by the publish-button. I’ll try to loosen up by accepting first that I don’t need to write stellar text. I just need to write this year down so that I can see how this year unfolds and how active I’ve really been. Or maybe I’ll just write about stuff that has little or nothing to do with what I’m doing this year. Who knows. From thought to action this time around?